Between Chapter One and Chapter Two of the “Engaging The Enemy” arc of the superhero comic The Young Protectors, we have a brief Interlude. 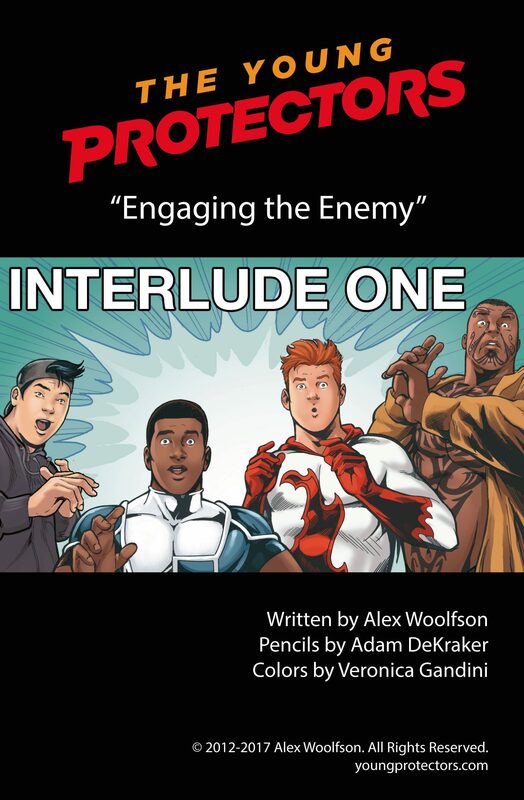 The Young Protectors is written and published by me, Alex Woolfson. Pencils are by Adam DeKraker and colors are by Veronica Gandini. I very much hope you enjoy it!